I’m hosting Andrew Q. Gordon on my LJ as part of his blog tour with Creative Minds for his new release First Love. 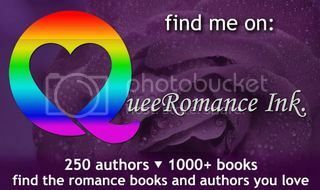 There’s also a rafflecopter giveaway – check out the post for details. I signed a contract last night with Dreamspinner Press for Family and Reflection, the third book of The Sleepless City series I’m writing with Elizabeth Noble. Projected release date is July/August. I’m hosting Anna Butler on my LJ today as part of her cover reveal for her new book Gyrfalcon.